You can also sue for compensation, by bringing a 'private nuisance' claim in the county court, otherwise known as the Small Claims Court. This is where claims for £5,000 and below are normally heard. Proceedings here are inexpensive and straightforward. In most cases, you may not need a lawyer. 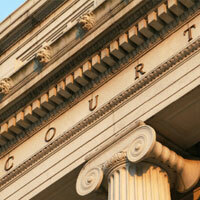 The High Court deals with more complex claims for higher amounts of compensation. The case studies (see links on the left hand menu bar) give examples of claims that have been brought before the High Court in the past. These kinds of proceedings can be costly. Strict rules apply. The FAQs section has information about funding and assistance with bringing a claim.